for the special man in your lives! I have seen many projects out there so we put our own spin on a little creation that is tons of fun…now I have to give credit where credit is due…my son Peter created my idea for me..I think you can consider me digitally impaired…he did a wonderful job…just what I had in mind…gotta love it : ) What is cool about this design is that the ties are double sided so it is so easy to make your bunting and it it looks great front and back! 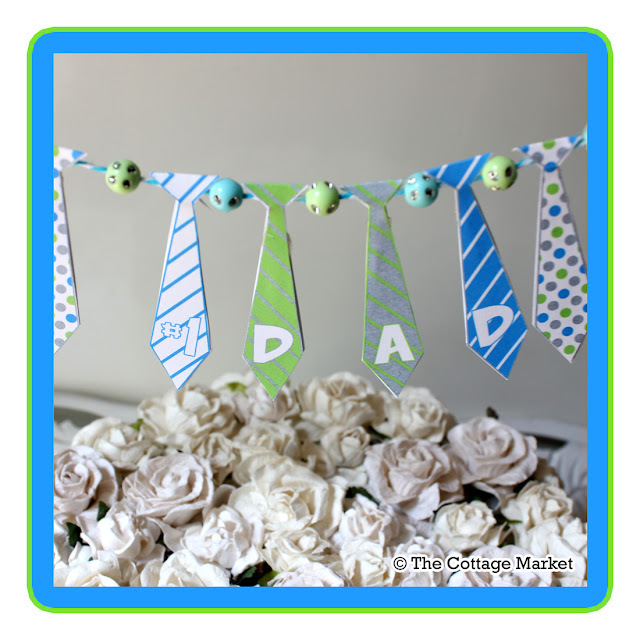 If you choose to use the #1 Dad selection…the lettering is in reverse so it reads from the either side! 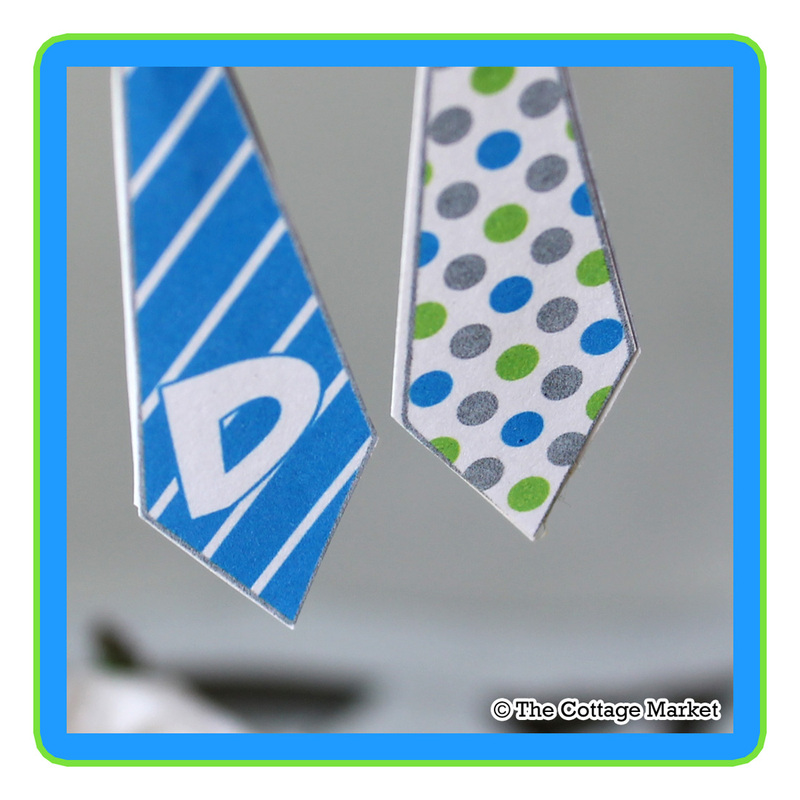 You can also use these for cupcake toppers by simply cutting them out…folding and gluing them onto a toothpick…put these cuties in a folder…you can use them all year round…great for decorating packages also! 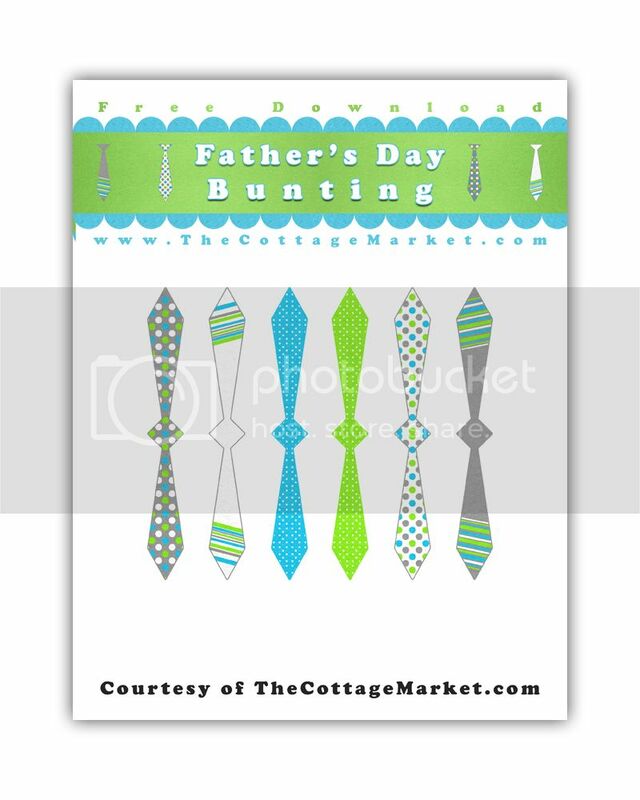 So here you go…two sheets of ties…the first being 6 different complimentary patterns and the second being #1 Dad…you can make the bunting as larger or as small as you need it…take a peek below for the example I made for you…. Well I didn’t bake a cake yet so I had to use my flower cake to show you how the bunting looks! Plus…we were low on sun again! take your scissor and lightly…I repeat…lightly : ) score the center of the tie so your fold will be clean and easy to do! Now they are ready to create with! 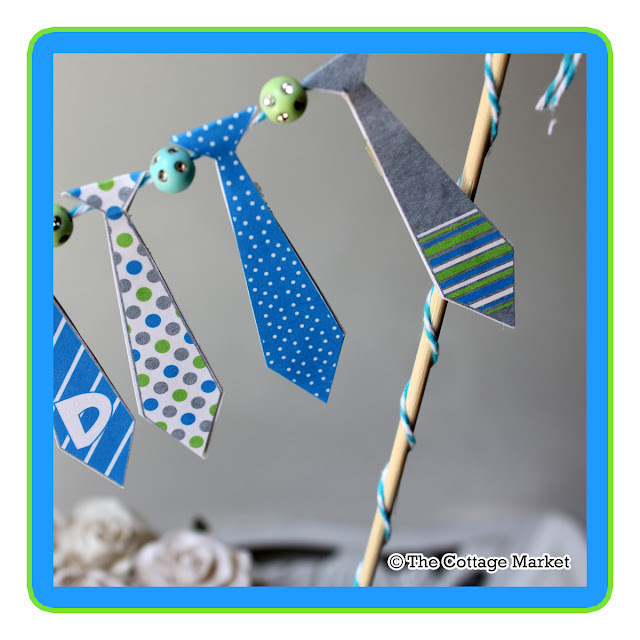 I used a complimentary bakers twine and I had some beads that I thought would be fun to add…you don’t have to add beads…you can just use the ties and it will still be fabulous! is now needed : ) Two big cupcakes would be fun too! You can even make this without the skewers and attach to the present! So many options! It reads the same on the back! I am sure that the kids would think putting a rhinestone tie tac on each one tons of fun! Let them create and put their spin on the little touches! They look so cute just dangling over a yummy cake! I REALLY hope you try this and have fun making some cool decorations with the printables…use them over and over and over again! Adorable Andrea! Thanks for sharing! So cute! 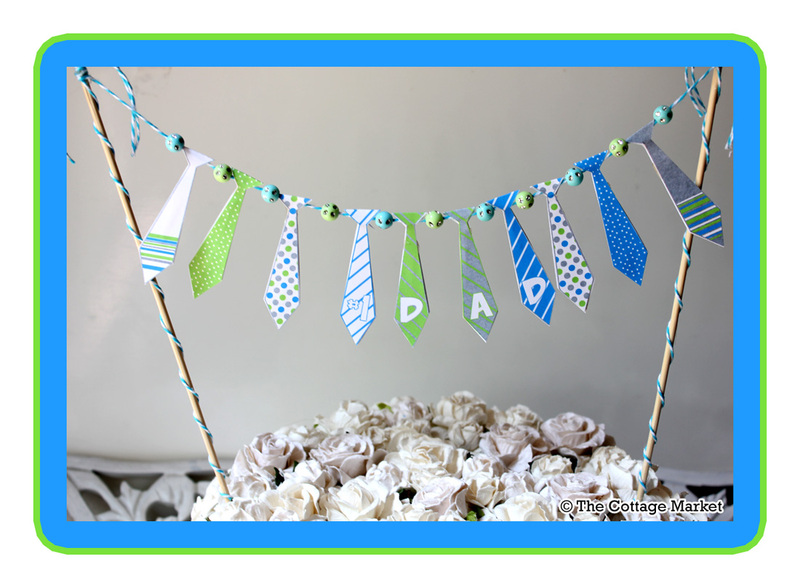 What a sweet way to add an extra touch to our Father’s Day celebration…hope I can download it…I’m having trouble with these kinds of things on my computer. Thanks so much! Oh, my, how cute is that? I think this is such fun! Thanks for being such a sweety! 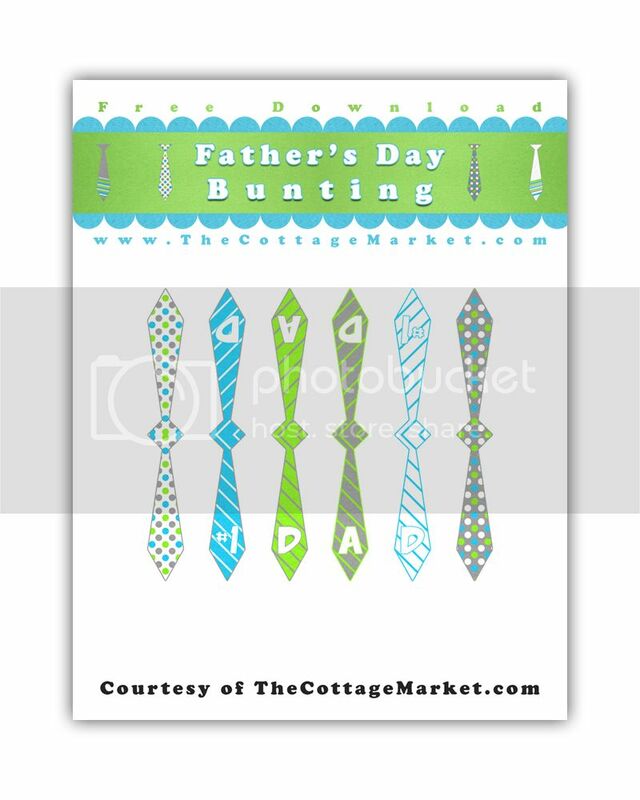 Now those are ties that any dad would love to have! so cute i can hardly stand it! thank you!! !